• God’s Cry To Awaken America! • God’s Call to the Pulpits — How to Bring the Great Awakening! • Does God Still Bring Judgment Today? …when God moves through His leaders and people in such a way that everything changes. That time is NOW! Together, We Can Save & Change Our Nation! We believe we are standing on the threshold of the Greatest Awakening ever seen and a great outpouring of the Glory of God, first in the Church, then in the earth. It can begin right here, right now with you and your Church or ministry! When we (God’s leaders and people) cooperate with God, do what He is instructing, only then will America see the greatest awakening in history and true solutions for our nation come. God has the power to change everything – but He works through his people! Act Now and be a Part of Making History! You can start taking action today by following the brief outline below. 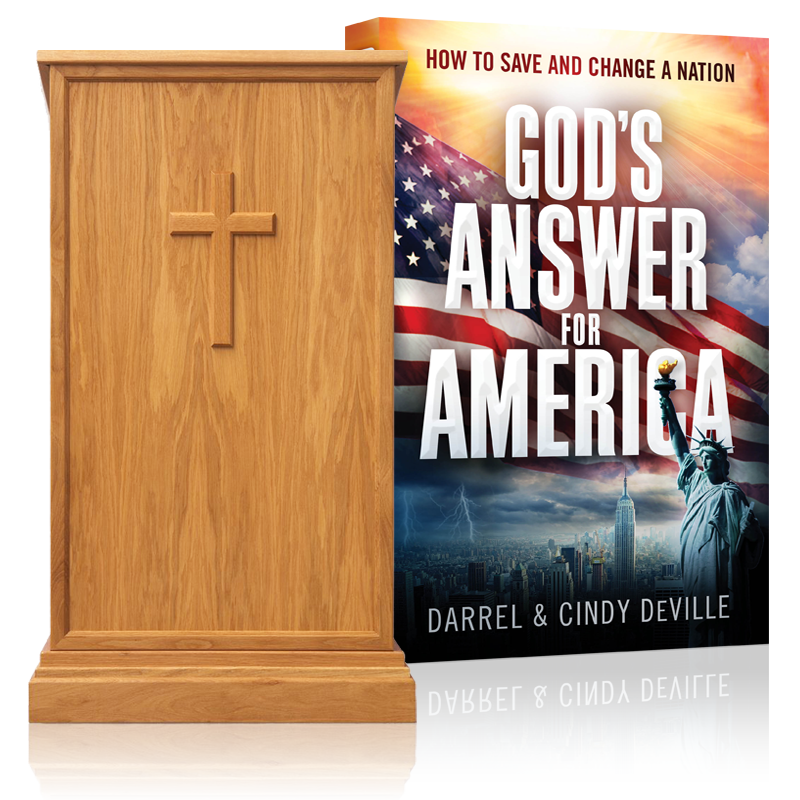 For greater details and a strategic plan of action we encourage you to read our book, God’s Answer For America. What Pastors & Leaders (The Pulpits) Can Do Right Now! By implementing God’s Answer YOU can help bring the Greatest Awakening and begin changing everything! Imagine your church, your community and your city on it’s knees – turning hearts & lives fully to Christ! Imagine your church overflowing with souls and prodigals coming home. Preparing For A New Day — It all Begins with You! 1. A Baptism of Genuine Repentance — from the pulpits to the pews. 2. Daily Nation-changing Prayer — Pure, Passionate, and Persistent (see more details). 3. Unite with other churches and leaders across the nation in this. The Pulpits Hold 3 KEYS to Dramatically Change Everything! We believe God is calling His pastors and leaders to their knees, to humbly draw near to Him and prepare for a time of great shaking, great visitation, and great awakening (Hag. 2; 6-9; Heb. 12:26-29)! Following are eight steps we believe are critical to help prepare and position you (pastors, five-fold ministry) to be ready for what God is about to do. God wants to prepare you first and then your church to go to a whole new level for the intense days ahead and at the same time help save and change our nation. Set aside 1 – 2 days to meet with God (without distraction). Don’t hesitate getting started! Invite the Holy Spirit to conduct an internal investigation of your heart, life and ministry (Ps 139:23-24). Laying everything at the altar and casting aside any weight or sin that would hinder you. This is an invitation for the Holy Spirit to dismantle and remove everything He did not initiate. This is a time of genuine repentance, great cleansing, consecration, healing, refreshing and renewed vision. To know Christ intimately (Ph 3:10, Dan 11:32). Those who know their God shall be strong and do exploits (Dan 11:32)! Those who are vitally connected to Him (John 15), fully devoted, walking in humility, obedience, and faith; these will be the agents of change and will release heaven into the earth. Endeavor to recommit to the standard of God’s Word which is truth, rather than bowing down to the pressure of the culture. Let us be Pure and uncompromising in heart, mind, motive, life and message. Important Reminder: Living a pure, holy life is not legalism. Living holy is love in its purest form and life at its highest level (1 Pet. 1:15–16)! True holiness and obedience are a natural extension of our love relationship with God, walking close to Him (Step 3). For your church to survive and thrive in the days ahead, you must commit to build His way, upon His word which is the rock. God’s Blueprint for His Church is to be a House of Prayer (Mark 11:17). Prayer releases the power and the will of God and heaven into our lives, churches, communities, cities, and nation — into the earth. Without it we are left merely to the arm of the flesh and limited, shallow results (Zech 4:6). Your leadership is critical in this. Paul warned of days of great deception in I Tim 4:1. Thus, it is critical to commit to speak the truth, the full counsel of God’s word in balance. To boldly proclaim the truth in Love! They must know the truth, for the truth will make them free. We encourage you to take the Pastor’s Pledge which we share on Page 176 of Chapter 22 in God’s Answer for America. This includes committing to steps 1-7 and beginning to implement God’s Answer into your church and ministry, to help bring forth the greatest awakening ever seen and a righteous reformation. That saving and changing our churches, our nation, and turning America back to God, starts with you, the pulpits of America! *Consider hosting a Great Awakening Service or Event at your church. To learn more, click here. We encourage you to go through this book with your staff and leadership team so you can all be in agreement moving forward. • Share the Message and Vision of God’s Answer with Your Church. • Have a Time of Genuine Repentance and Consecration (leaders leading the way). • Corporately Commit to Make Prayer a Top Priority. • Have daily united prayer with staff, pastors, and leaders. • Open up your church to daily prayer (ideally day and night). • Schedule weekly corporate prayer service. • Release rivers of intercession from your church into your community, city, and the nation. • Encourage the youth and children to get involved in praying for your church and America. • Consider at the beginning or conclusion of every service, home group, Sunday school, or Bible class, to take a moment to unite and pray for your church and the nation. • Encourage prayer walks at your church, around government buildings, schools, and throughout the city. 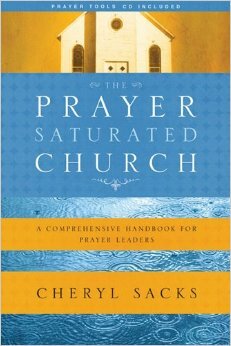 • Consider designating a Prayer coordinator for your Church. • Pastor, five-fold minister; it is critical people understand the power and benefits of prayer that will stir and motivate them to pray. If you have not done so already, we highly recommend you do or revisit a series of messages on the importance and power of prayer—personal and corporate. • Show how repentance and prayer has impacted people, cities, and nations in biblical times and in world history. • Share messages and examples of prayer in American history, from the Pilgrims and Puritans to the Great Awakenings that helped shape and impact our nation (there are many examples). Please pass God’s Answer for America on to other pastors and churches you know to help bring the Great Awakening. We recommend you come together with other pastors in your city and pray with and for each other regularly, if you are not already. Your church must be ready to take in a great harvest of souls, for when God begins to move it will be like a mighty wave and many will be saved. When you commit to become a Glorious House of Prayer, be prepared for changes that God will bring. Be in expectancy to see the goodness and glory of God! Special resource to help take your church to the next level! We actually came across this book after we wrote God’s Answer For America. It’s a wonderful confirmation of this critical part of the message, and very practical and detailed guide how to become a House of Prayer. We are encouraging every pastor and churches to read and apply it. 8. If you serve in any leadership capacity, we encourage you to start all events, meetings, etc with prayer, as scripture instructs us to do ALL things with prayer, supplication and thanksgiving. As a leader you are also leading by example and showing them the importance of prayer. 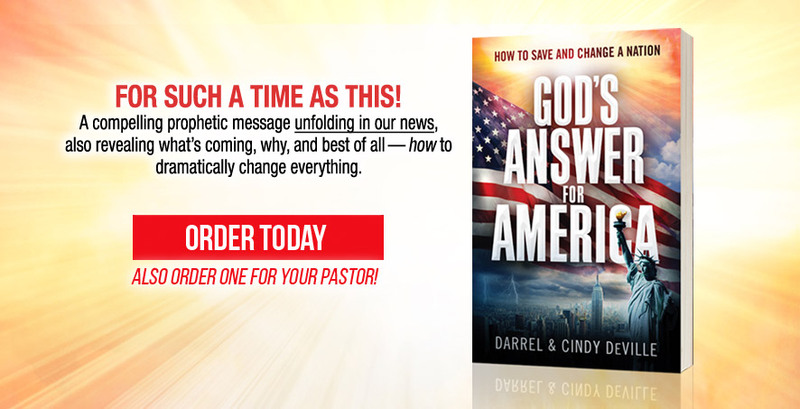 • We encourage everyone to read the book, God’s Answer For America. • Join Christians all across the nation praying daily at noon, in the 12 O’Clock Prayer Challenge. See more details here. 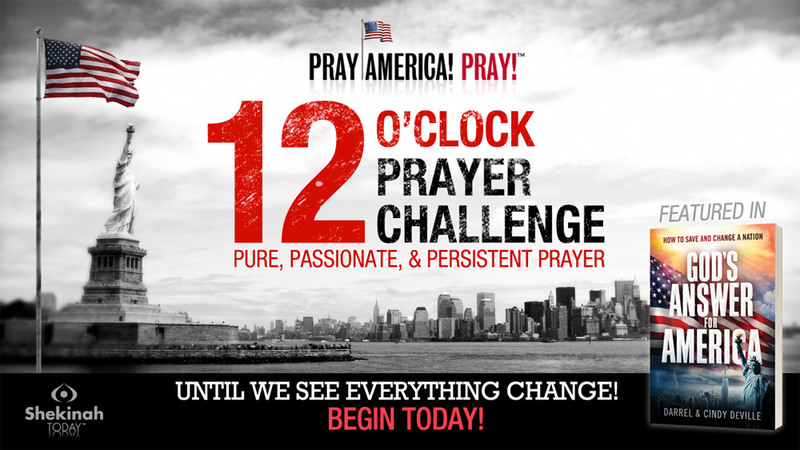 We invite you and your congregation to join with Christians across America in over 400 different cities and communities to Take the 12 O’Clock Prayer Challenge. See more details [here]. Reminder: Why this is so important! If God’s leaders and people will unite in church-wide genuine repentance and massive daily prayer—everywhere—we will begin to see everything shift and a Great Awakening sweep across our churches and bring our nation to it’s knees. It begins with you! Although these things may seem simplistic, they are CRITICAL and must be done if we are going see a Great Awakening and avert the judgment of God (See Path 1)! We say this not to incite fear but rather awaken us all to a “Fear of the Lord” which is for our good, and communicate a great sense of urgency to embrace and run with God’s Answer For America! Now is the time to rise up and run with God’s Answer—because lives, families, churches, and our nation are hanging in the balance; much is at stake! Our Mission: To Exalt Christ, raise up His Glorious Church, to reveal His glory, to transform lives and nations. Isaiah 60:1-2, Ephesians 5.